Don’t compromise when it comes to coffee – make sure yours tastes as good as it can with the Bodum Kenya French Press Coffee Maker. This four cup coffee maker is not just one of the simplest and quickest ways to make coffee, but also one of the best. 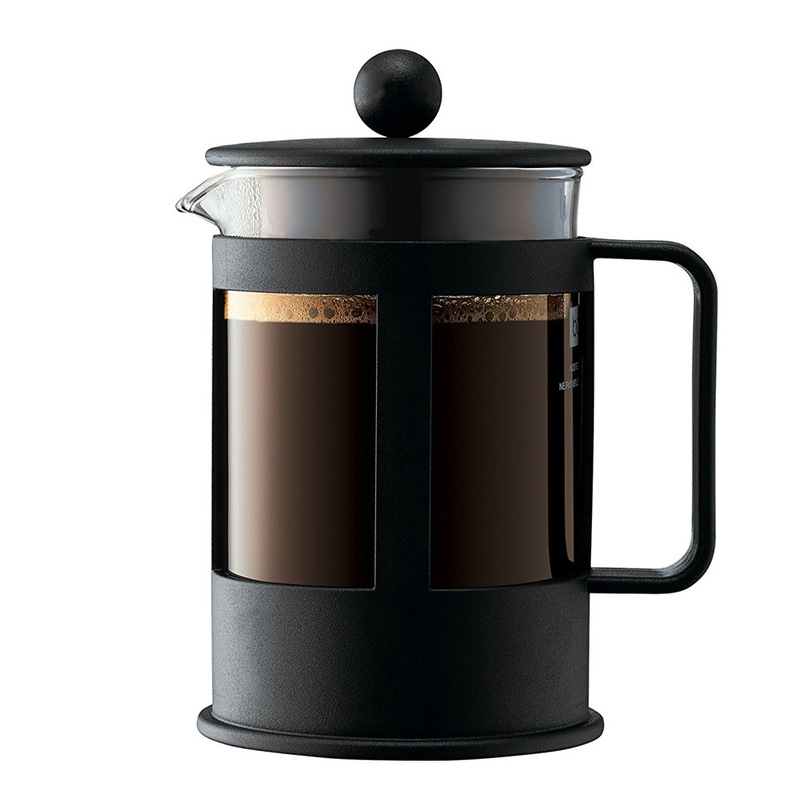 Perfectly suited for coarse ground coffee, this French Press is designed to make sure that your morning coffee is as great as it can possibly be. Additionally, this product’s sleek and modern design will ensure that it looks good in just about any kitchen. Formed from borosilicate glass and stainless steel. Perfectly suited for coarse ground coffee. Four cups worth of coffee with each press. A quick and easy to make your morning coffee.